Keep your floors and counters safe from damage and debris during construction, remodeling projects, appliance installation and moving. 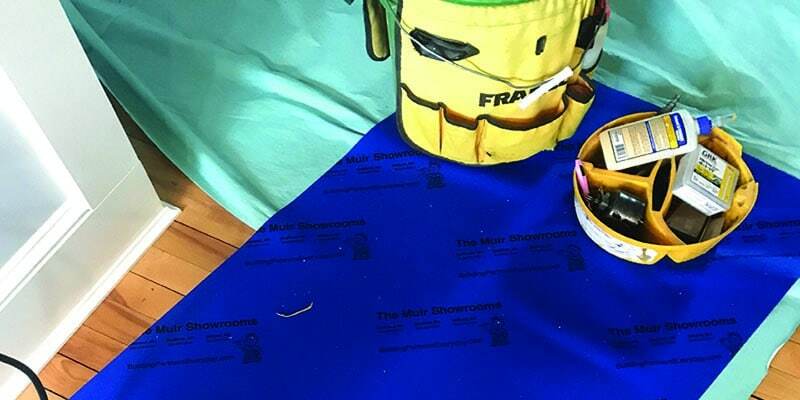 Neo Shield is a reusable neoprene mat, designed to defend against high impact drops, spills and foot traffic protecting hardwood, ceramic tile, linoleum and carpet surfaces. 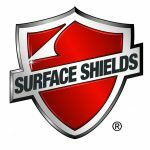 Neo Shield is the ultimate reusable surface protector that rolls out flat, clinging to floors and steps with a non-adhesive, slip resistant backing. Use Neo Shield to place tools and other items on in order to keep them clean and your surfaces protected. • Slip-resistant and clings to steps. • Lightweight – rolls are easy to install and carry from site to site. • Flexible – can be cut to fit any space and works well on either side. Come in to P.J. Currier Lumber and grab some rolls… you’ll be glad you got the protection! what size roll does this come in ? Also how much is a roll?